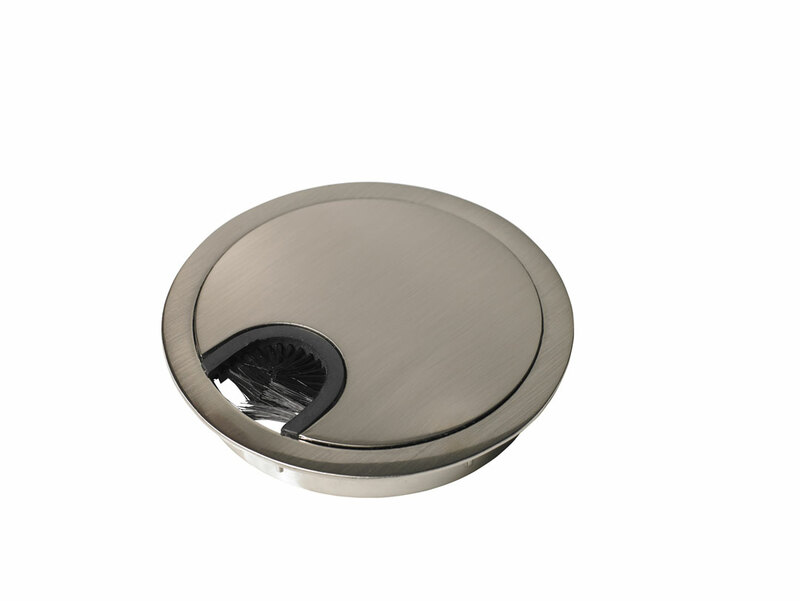 Cable outlet, brushed nickel available in size Ø 80 mm (or Ø 60 mm – click here)for fitting into a Ø 80 mm hole. Two part cable outlet in zamak for press fitting or gluing into a Ø 80 mm hole. Flexible brush seal.